The latest collection from Mitchell Denburg takes inspiration from the 16th - 18th century color palette of Dutch Masters. 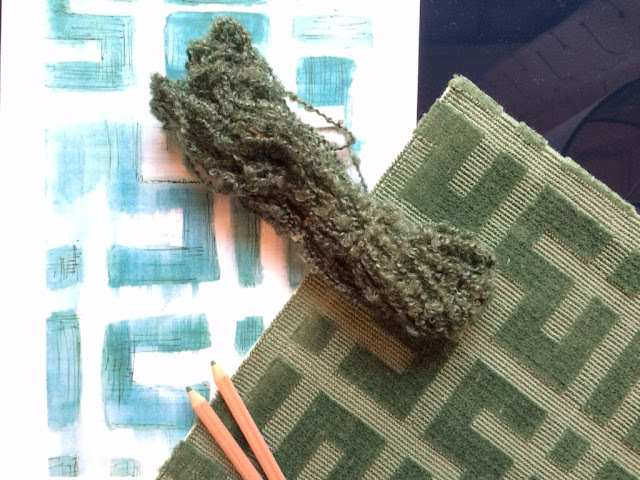 With a fresh and nuanced take on the refined yet muted tones from Rembrandt and Vermeer; the rugs offer a timeless and sophisticated sensibility anchored in tradition and superior craftsmanship. Flanders Series: 5 colors available in 4 weaves & 4 fabrics. 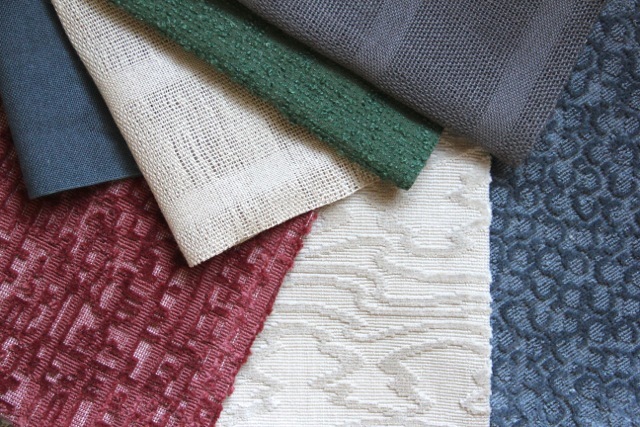 Learn more about Mitchell Denburg fabrics. Katherine McNamara was photographed wearing bebe on October 27, 2015 in Los Angeles. The Shadowhunters actress looked gorgeous as she attended a store launch wearing the Jacquard Crop Tank ($64) and Jacquard Flared Skirt ($80, www.bebe.com). Holiday samples sales are taking place at CMC. Don't miss out on the fab buying opportunities. Pick up some fashion and accessories on the cheap. Visit the event calendar page for more details. 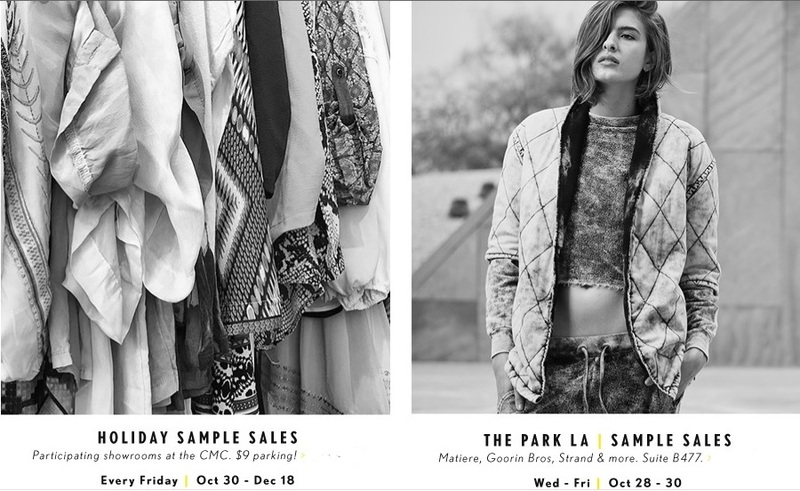 Learn more about fashion sample sales in the United States. A chicly buckled sheepskin collar helps this boot make a stylish statement. Fashioned from water-resistant leather and sheepskin, the Blayre II wouldn’t be complete without a cushioning insole, plush linings, and a rugged outsole for traction. 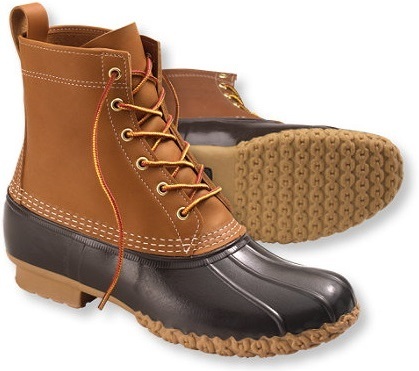 Shop at Ugg Australia for these boho-chic boots. Keep in mind that Ugg quality matters. If you are buying a boot, make sure it is of the highest quality. Amber Stevens was photographed wearing Andi Alyse jewelry recently at Star Magazine's Scene Stealers event at the W Hollywood Hotel! The actress accessorized her geometric ensemble with Andi Alyse's Rose Gold Diamond V Band ($545), Rose Gold Diamond X Cuff ($1,700), and Black and White Diamond Bangle ($2,600; www.andialysejewelry.com). Learn more about Amber Stevens by reading blog posts and viewing her social media resources. Black and multicolor glove leather dress with all over floral cross stitch. Rounded neck, sleeveless and midi-length style. Defintately check out the Cross Stitch Leather Jacket for pre-spring/summer 2016. 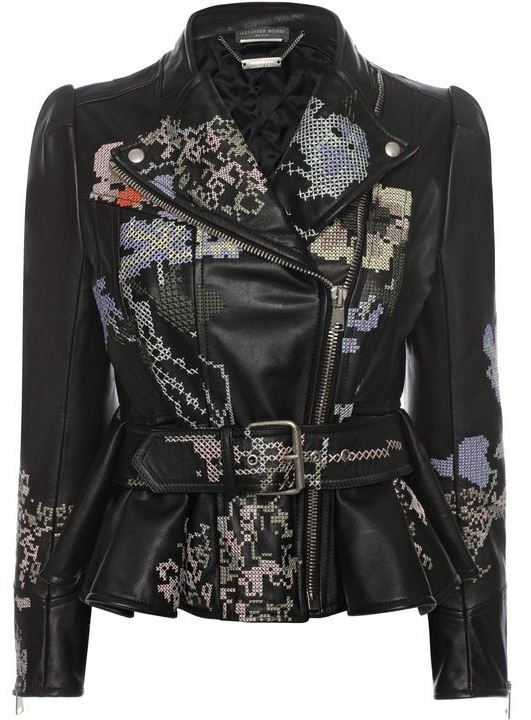 Black and multicolor calf leather jacket with cross stitch detail. Asymmetric zip, oversized lapels, buckled waist and peplum finish. 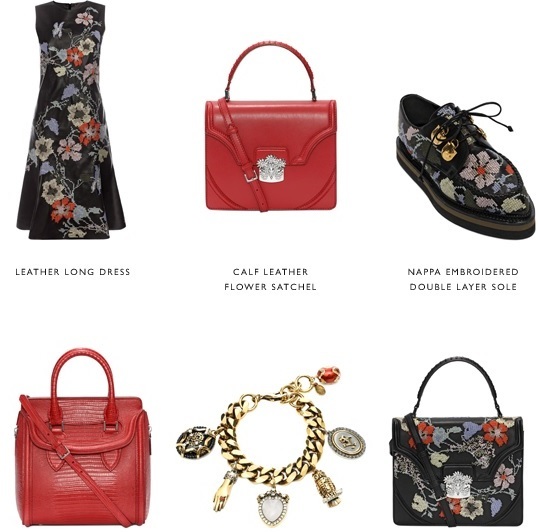 Shop now at Alexander McQueen. 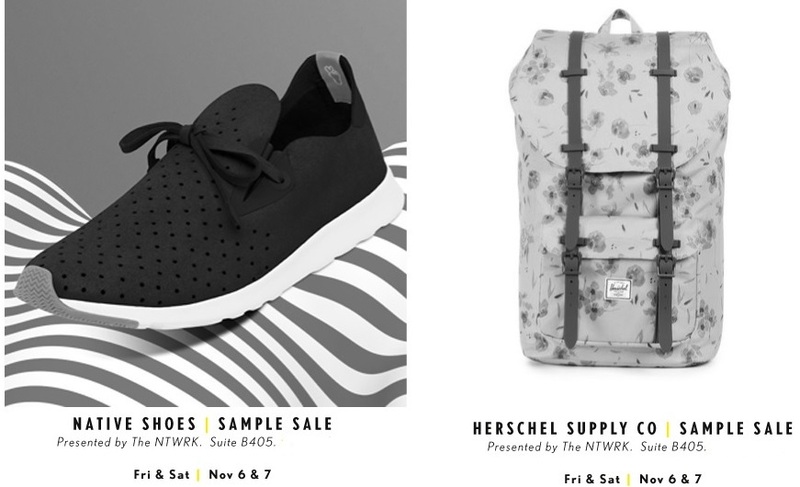 Yet another reason to visit Paramus, New Jersey to shop for clothing, footwear, and fashion accessories. Just in case you did not think that the Garden State Plaza Mall and other local shopping options had been enough. Starting in November 2015, you have even more shopping destinations to add to your list of favorites. The best part is that the newest addition to the retail landscape in northern New Jersey is set to provide designer fashion at a discount. Good news for shoppers. The store will not only be for North NJ. That is only the starting point. Hudson’s Bay Company announced on October 26, 2015 the launch of Find @ Lord & Taylor, a new off-price concept catering to a younger demographic and delivering on-trend, in-season product at amazing prices. Opening its first store in Paramus, New Jersey in November 2015, Find @ Lord & Taylor will launch in the Northeastern United States, with six additional store openings planned for 2016. Find @ Lord & Taylor stores will average 30,000 square feet, offering a compelling assortment of women’s, men’s, and kids’ apparel and footwear, with a fun, easy-to-shop experience. Unlike other HBC Outlets, Find @ Lord & Taylor will also offer an expanded Home selection. By combining the best in brands with outstanding value, shoppers will enjoy fresh and distinct apparel and home fashion offerings from leading brands at savings of up to 70% off. Find @ Lord & Taylor is part of HBC’s Outlet Division, along with Saks Fifth Avenue OFF 5TH. For more information, visit findlt.com. Learn more about Lord & Taylor here on Apparel Search. Learn more about discount clothing stores to make your dreams of buying well priced clothing come true. Did you know that Macy’s is going down a similar road? If you are interested, you can read about Macy’s Off-price stores from our previous post. Note: the image used is NOT from the new Find @ Lord & Taylor store. The image is from a current sale taking place today at the Lord & Taylor website. 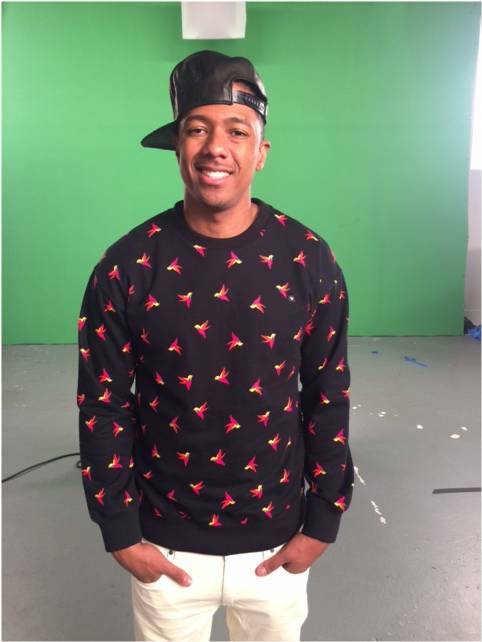 The trendy, Nick Cannon was photographed wearing Konus Brand. 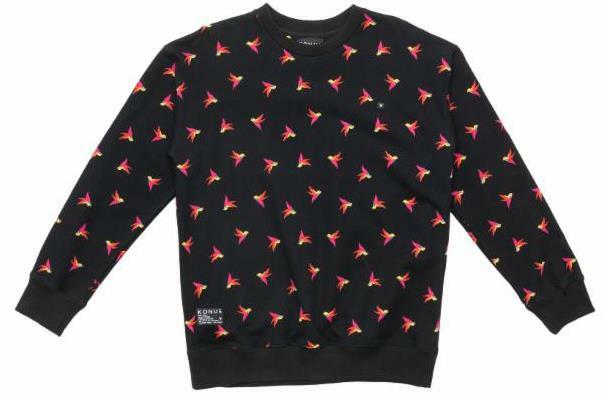 The America's Got Talent host looked causal and relaxed as he sported the Flight pull over fleece while backstage at a photoshoot ($120, www.konusbrand.com). Learn more about Konus brand here on the Apparel Search fashion blog. Tyra Banks was photographed while wearing her Parker Smith jeans yesterday. The host and supermodel was chic in a white bodysuit and Parker Smith Ava Skinny Jeans in Eternal Black while out running errands in Los Angeles ($173, www.parkersmith.com). Brett Lauren is a handmade jewelry line featuring beautiful rare gemstones in a wide array of colors, styles, and sizes. Brett Lauren partners with charitable organizations such as Wounded Warriors, and Domestic Violence Shelters, to provide jobs to battered, and homeless women. Specially made by these women, Brett Lauren jewelry is a trendy line that makes both styling and giving back easy! 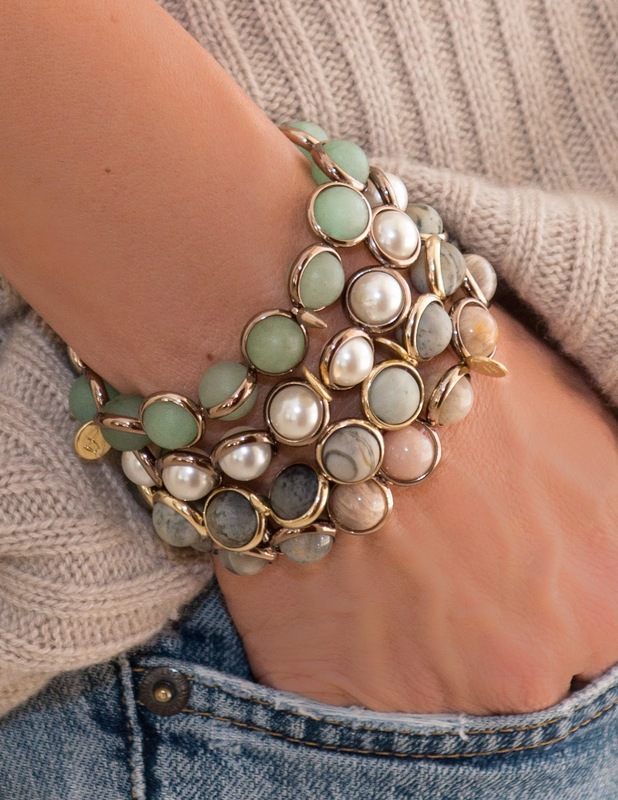 Mix and match jewelry, or wear it separately on its own! With a wide array of collections and colors Brett Lauren jewelry makes personalizing possible. In order for athletes to remain at the top of their game, it is important to keep body temperature in check. Coolcore is an accessories and apparel brand driven by material innovation and the world leader in proprietary cooling fabrics. Coolcore’s mission is to combine cooling with trend right looks in their accessories and apparel to consumers worldwide. 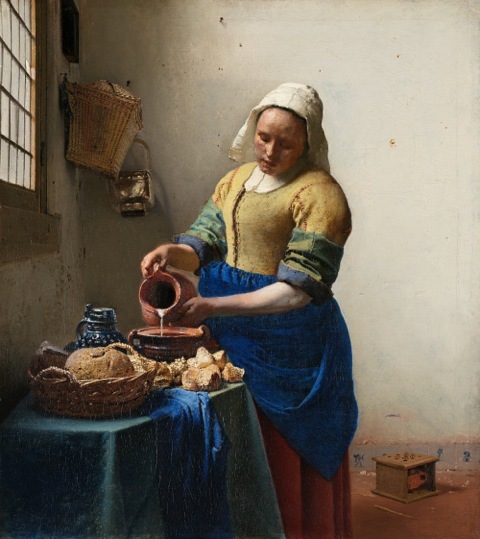 Traditionally, cooling has been achieved using immobile air conditioning, ice packs and fabrics covered in chemicals that wick away sweat, keeping us dry when we perform. These previous methods do not necessarily cool and typically degrade over time. Coolcore provides a cooling solution that goes beyond traditional moisture-management fabrics or evaporative cooling technologies that rely on chemicals or polymer crystal treatments. The result is a technology that keeps you cooler, drier and more comfortable with a competitive advantage. On October 22, 2015 Coolcore, the global leader in chemical-free cooling fabrics, today announced that the United States Patent and Trademark Office (USPTO) issued the company a patent (U.S. Patent No. 9,121,642) for “Method of Cooling an Object with a Fabric”. The patent covers activation that includes wetting the item, wringing out excess liquid, and snapping or waving the fabric to activate the moisture control through the fabric. Even more specifically, the present invention is for a fabric that becomes cool when activated by liquid and remains cool for an extended period of time thereafter. Coolcore also owns U.S Patent No. 8,440,119 for its cooling material innovation. The patent covers the manufacturing of any chemical-free cooling fabric that transfers moisture away from the skin, while regulating the movement and evaporation of that moisture throughout the fabric as described in the patent. Coolcore fabric formulations have earned the prestigious “Innovative Technology” recognition from the Hohenstein Institute, a first for a U.S. company, and the only company globally to be awarded this recognition for “Cooling Power.” Additionally, it was recently announced that Coolcore is a finalist in two categories for the 2015 ITMA Future Materials Awards – “Groundbreaking Partnership” and “Best Innovation – Sports Textiles” for our cooling fabric innovations. Coolcore develops and provides private label cooling towels to its brand and retail partners globally, as well as cooling apparel and accessories. Additionally, Coolcore markets its cooling towels, accessories and headwear under the Dr. Cool brand name and distributes domestically and internationally. Aside from finished products, Coolcore develops fabrics for several global consumer brands. If you are an athlete looking to optimize your workouts with fabrics and fabrics that help with performance, you may want to also learn about compression fabrics. You can visit our compression clothing term to learn more. Penelope Disick was spotted wearing BLOCH ballet slippers while leaving a dance class with cousin North West in Los Angeles this week. She was looking like a trendy little dancer next to her casually dressed and very fit mother Kourtney Kardashian. The stylish toddler looked perfectly prepared for class finishing her pink and black ballet outfit with BLOCH Dansoft Ballet Slipper in Black ($18; BlochWorld.com). BLOCH ballet slippers have become the Penelope's favorite slippers for dance class! 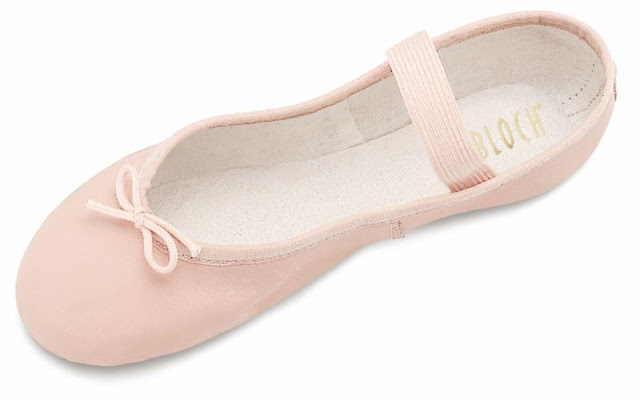 The little ballerina has also been seen on two separate occasions wearing this same style of ballet slippers but in pink while attending class in recent months. See more of Penelope's mom, Kourtney Kardashian. Minnie Rose delivers a wisp of gypsy with the sophistication of the global jet set. Designed by iconic fashion insider, Lisa Shaller-Goldberg was the driving force behind iconic 90's and 2000’s brands Juicy Couture, Camp Beverly Hills, Ugg Australia, True Religion, and Hard Candy. Minnie Rose is named as a tribute to Lisa’s wild-spirited grandmothers who were a perpetual source of love, comfort and support. Minnie Rose features rich cashmere ponchos that wrap you in pure luxury. In true confidence, you’ll evoke Park Avenue sophistication but without the pretense. Gone are the days of stodgy sweaters, this season it's all about whisper-thin cotton fringe serapes, shawls and wraps. Layer it up or pair with the perfectly fitted Minnie Rose flared leg pants to gain instant icon status. Celebrity fans include the Duchess of Cambridge Kate Middleton, Selma Blair, Jennifer Garner, Eva Longoria, Guilana Rancic, Alessandra Ambrosio, Lisa Rinna, January Jones, Oprah Winfrey, Vanessa Hudgens and Christie Brinkley. The collection is available at high profile specialty boutiques such as Planet Blue, Neiman Marcus, Elyse Walker, Stanley Korshak, Shopbop, and minnierose.com and retails from $86 – $450. View the Minnie Rose Fall Fashion Look Book for 2015. See more from Minnie Rose. The nautical striped T-shirt has always been an essential warm-weather staple and favorite of the everyman and fashion insider alike, but stripes are certainly not just for summer. Kule’s range of seasonless silhouettes, inspires us to swap out our basic tees and start layering in stripes. The core collection, inspired by fashion icons like Alexa Chung, Jane Birkin, Bridgette Bardot, Picasso, and Sofia Coppola, represents Nikki Kule’s merging of her design aesthetic and timeless Francophile style. Kule has not stopped at just the striped T-shirt but has brought her keen knowledge to a collection of striped furs that will effortlessly transition any stripe fanatic into the wintery weather. The core collection, Kule Stripes, consists of four pieces: The Modern, The Modern Long, The Boyfriend and The Classic, ranging from $88-$128. The Kule Fur collection includes scarves ranging from $625-$650, and a pullover, cardigan, and jacket ranging from $1800-$2400. View the Kule Stripes Lookbook for additional striped fashion. If you want to be trendy this season, you should be wearing Kule Stripes. This season, gild the lily with stylish new sunwear from Vera Wang. Juxtaposing unexpected materials with classic shapes, these fashionable shades translate Vera’s iconic jewelry motifs and modern aesthetic into a beautifully textured eyewear collection perfect for the turn of the season. Pictured above you can see Belloza; Chic New Sunwear from Vera Wang. Just in time for the holidays, Belloza combines a classic square shape in Black, Crystal and Tortoise acetate with CR39 lenses and temples that dazzle with authentic Swarovski crystals. Belloza is not the only new eyewear option for this season. Experience gorgeous clarity with Laurice (pictured below), a minimalistic style in hand-polished acetate and contrasting temples. The mirrored lenses reflect a thoroughly modern approach to eyewear. Available in Black, Blush and Tortoise, with CR39 lenses. 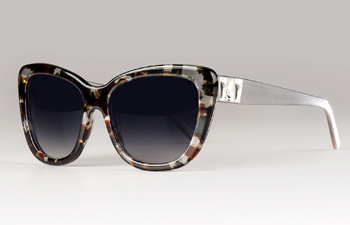 Learn more about Vera Wang eyewear at Kenmark. By the way, we used the word Juxtaposing in our post. In case you are not sure the meaning and have to look it up as I had, it means, "place or deal with close together for contrasting effect". You may wish to visit our fashion blog archive section to search for additional topics of interest. 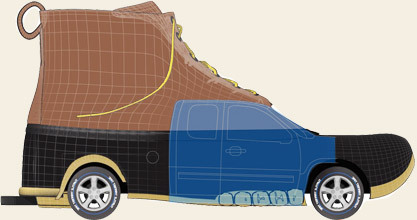 The original L.L.Bean Boot was designed to help people enjoy the outdoors – and their larger-than-life mobile replica was also. 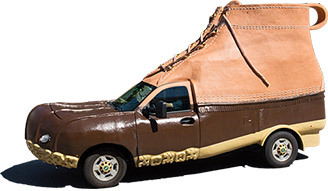 The Bootmobile has covered more than 40,000 miles, appeared at hundreds of events in 10 states and dozen college campuses, and made tracks to every L.L.Bean store. 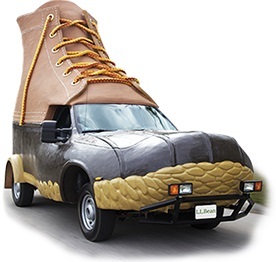 The original Bootmobile was so popular, it needed a sidekick. So, they built a second. It's a bit smaller, lighter and greener; the engine is biodiesel compatible. An interactive entertainment system adds to the fun. Now they have a fleet of big feet, revving up for a season of special events near and far. Talon International is working new stretch and recovery technology for the athletic and growing athleisure markets. They are utilizing the Tekfit stretch which has also been recently introduced into the dress shirt market. The Flex Collar men's dress shirt designed with Talon's Tekfit technology is said to provide men with an additional half inch of expanding collar comfort without wrinkling or compromising the collar structure. Learn more about Talon International. Talon International, Inc. announced that PVH Corp. has launched its Van Heusen Flex Collar men's dress shirts in retail stores. Flex Collar incorporates Talon's Tekfit® proprietary stretch technology, allowing expandable collar comfort with half inch of stretch. As a man that wears dress shirts, and hates a tight fitting neckline, this sounds like a fantastic garment. The Flex Collar men's dress shirt designed with Talon's Tekfit technology is said to provide men with an additional half inch of expanding collar comfort without wrinkling or compromising the collar structure. PVH also announced a comprehensive 360-degree marketing campaign that will support the launch of the Van Heusen Flex Collar shirt this fall and is anchored by a national commercial highlighting iconic tight collar moments from classic movies to popular TV shows. Further, as a long-time sponsor of the New York Giants, Van Heusen unveiled branded in-stadium creative and various digital shorts shot at MetLife Stadium starring running back Rashad Jennings, guard Justin Pugh, center Weston Richburg, linebacker Devon Kennard, defensive tackle Jonathan Hankins and New York Giants' legend Jessie Armstead. The unique and humorous videos showcase the players in situations where extra space equals more comfort and will be shown on local New York media and across the brand's social media channels. According to David Sirkin, President of Dress Shirts at PVH Corp. " currently at three key retailers Kohl's, J.C. Penney, and Macy's, the Flex Collar shirt has received positive reaction from customers. If the trend continues, 2016 could be an even stronger roll out of the product. We are also exploring incorporating Tekfit into our other brands as we focus on product innovation and market leadership." The Tekfit technology transforms an otherwise non-stretchable fabric into a fabric with the ability to stretch and recover, resulting, in this instance, in an unusually comfortable, flexible shirt collar without compromising the style, look or feel of the garment; only the wearer knows the stretch is there. Talon International, Inc. is a major supplier of custom zippers, complete trim solutions and stretch technology products to manufacturers of fashion apparel, specialty retailers, mass merchandisers, brand licensees and major retailers worldwide. Talon develops, manufactures and distributes custom zippers exclusively under its Talon® brand ("The World's Original Zipper Since 1893"); designs, develops, manufactures, and distributes complete apparel trim solutions and products; and provides stretch technology for specialty waistbands, shirt collars, and other items all under its trademark and world renowned brands, Talon®, and TekFit® to major apparel brands and retailers. Leading retailers worldwide recognize and use Talon products including Abercrombie and Fitch, Polo Ralph Lauren, Kohl's, J.C. Penney, FatFace, Victoria's Secret, Wal-Mart, Tom Tailor, Levi Strauss & Co., Juicy Couture, and many others. The company is headquartered in the greater Los Angeles area, and has offices and facilities throughout the United States, United Kingdom, Hong Kong, China, Taiwan, India, Indonesia and Bangladesh. Learn more about Talon International, Inc.
PVH Corp., one of the world's largest apparel companies, owns and markets the iconic Calvin Klein and Tommy Hilfiger brands worldwide. It is the world's largest shirt and neckwear company and markets a variety of goods under its own brands, Van Heusen, Calvin Klein, Tommy Hilfiger, IZOD, ARROW, Warner's and Olga, and its licensed brands, including Speedo, Geoffrey Beene, Kenneth Cole New York, Kenneth Cole Reaction, MICHAEL Michael Kors, Sean John, Chaps, and Ike Behar. Learn more about PVH Corp.
UGG® comfort comes in a size and style for everyone. Just ask Hello Fashion’s Christine Andrew and her family. 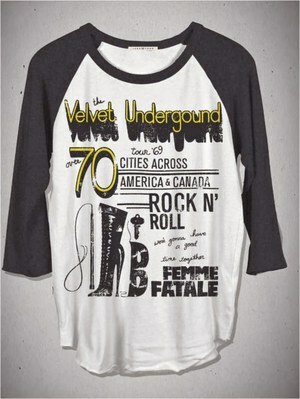 Christine Andrew founded Hello Fashion in December 2011 as a way to showcase current trends in fresh, inspiring ways. Christine was born in South America, but she’s lived in all corners of the United States- from Montana to Washington DC. Christine discovered her love of fashion at a young age. With a strong appreciation towards all aesthetics, she’s created a style that’s entirely her own- pairing classic and edgy, feminine and masculine, and always adding a fashionable dose of global influence as a nod to her Latin roots. Hello Fashion allows Christine to communicate directly with “the everyday woman” and offer style inspiration and advice along the way. Learn more about Hello Fashion and Christine Andrew. 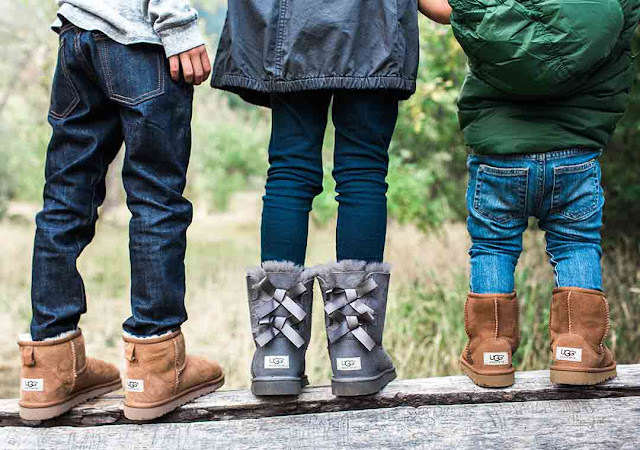 Find these Ugg boots for the kids.